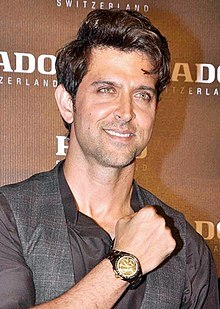 Hrithik Roshan (born 10 Januar 1974) is an Indie actor that appears in Bollywood films. The son o the filmmakker Rakesh Roshan, he haes portrayed a variety o chairacters an is kent for his dancin abeelity. This page wis last eeditit on 10 Januar 2018, at 01:54.